This is a conundrum that riddles many new composers that attempt to get a break. Just like in any industry, so many up-and-comers struggle with the conundrum of needing credits to get credits. I will share with you my experiences and give some tips as well as the do’s and don’ts. It’s not the only way to do it but it certainly has worked for me. After I graduated from Berklee, I began a career as a jazz/fusion guitarist playing in cover bands, teaching and doing all that was necessary to earn a living as a musician. That went on for a few years and in the meantime I wrote music and charts for the various bands that I was in. Occasionally I presented them with original music and wrote the odd jingle for a tv commercial or a trailer. Over the years, I assembled a lot of original music and it got to the point where I enjoyed writing more than performing. So I decided to write music professionally. Much like everyone else, I posted my music online hoping that someone might listen and hire me…nothing much happened other than a few ‘thumbs up’ here and there. The turning point came when I played some of my stuff to a dear friend of mine who is an A-list cinematographer (Marvel, Disney etc.). He told me something that has been my motto ever since. He said: “Man, you gotta get your music out there!”. When I pointed out that my music IS out there, he clarified that I need to get it directly in the hands of the RIGHT people. I thought about it and sure enough, I went online and searched for the most important conferences where media composers conglomerate and network as well as music supervisors, editors, directors etc etc. I narrowed down my choices and made a point to attend as many as possible. Furthermore, I joined numerous professional online forums, both in and outside of Facebook, and made many online friends and collaborators who had similar interests as me. This is something that I still do – the internet is not just for posting photos of our pets!! I went to a music conference in LA, to network and also to meet some of my online friends in person for the first time. One of them invited me for lunch because another guy that he invited had cancelled. It was a lunch with 5-6 other composers and one of them was an established LA composer. During lunch, the LA composer mentioned that he needed lots of slide guitar music for a new show that he just landed, but being a pianist, he had a hard time convincing the producers with what they were looking for. So he asked us, ‘does anyone here play guitar?’. It just so happened that myself and another one of the other guys at the table were guitarists…but I was the only one with a decent demo in his/her pocket! So I gave it to him and 2 days later, he hired me. The TV show he was working on became a hit a few months after it hit the airwaves – much to everyone’s surprise AND joy! Do not just post your music online hoping that someone will find you. GO find that someone! Networking is a fine art that’s often abused. It’s better for someone to just remember you rather than remember you for being a jerk. It’s much better to talk to 10 people who are listening to you than to shout at a thousand people who don’t care who you are. Your music is your calling card so don’t settle for a mediocre demo-showcase your very best. You have to spend money to make money-investing in your self promotion is just as important as investing in gear. You have to spend money to make money. Investing in your self-promotion is just as important as investing in gear. No one cares if you went to college to study music. The bottom line is whether you can write music that fits the needs of any given project. End of story. And last, but certainly not least: if you do find success, pass the knowledge forward. Your influence is not determined based on your success, but on your ability to help others succeed. 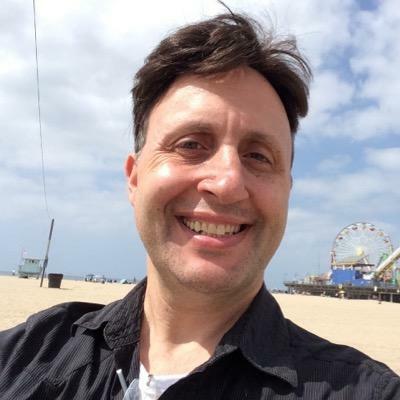 Adonis Aletras is a working film/TV/media composer with hundreds of credits on US network and cable television, games and apps. His music can be heard in Emmy award-winning television shows, and he is a voting member of the Television Academy (Emmys) and the Recording Academy (Grammys). A prolific composer, his catalogue currently exceeds 2,000 signed tracks. He is a graduate of Berklee College of Music. His book, “So you want to become a media composer?” can be found on Amazon. 4 simple things preventing most artists/composers from making SERIOUS money in music<< >>New for March: Magnetracks Mobile!